Congratulations, you’re on your way to college! But that doesn’t mean you can rest easy for the next four years. You need to start planning for your future in the job market right now, and the best way to succeed in the job market is to succeed in college. Fortunately, Succeeding in College and Life has all the answers you will seek. Not only will you learn how to study and manage your time, but you’ll learn how to balance extracurricular activities, your finances, new relationships, possible homesickness, and make the best choices that will give you an advantage when you enter the job market. 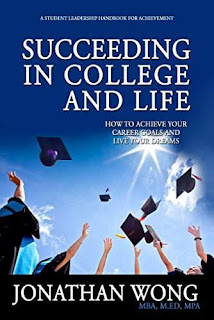 Whether you’re a current or prospective college student, Succeeding in College and Life is your one-stop source for all the information you need to succeed in your studies. When you leverage the skills you will learn here, you’ll be able to create the life you deserve for yourself and the ones you love.